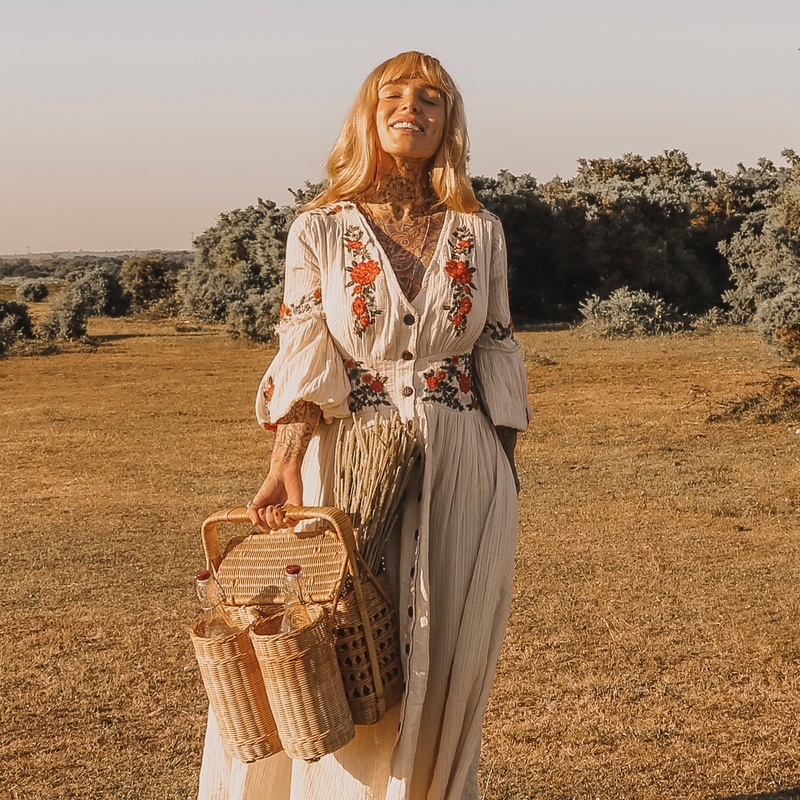 I'm loving a natural vibe folky dress at the moment... ( when i'm not in linen of course ) They're the perfect summer dress that can transition from a day with the family to festival season really easily. I've found this style never goes out of fashion so when i saw this in Anthropolgie i knew it had to be mine to wear year after year. Its such a flattering piece with the bust / waistline details and the sleeves have a elasticated wrist which i personally love to change up the sleeve height! It also has a faint stripe for us vertically challenged gals, every little helps! I paired it with a strappy pair of sandals which are absolutely divine. They give a quick nod to vintage and custesy up the outfit. I've linked the outfit below and some alternatives :) Hope you're all enjoying your summer!